Halloween is right around the corner, and Tokyo’s nightclubs are gearing up for one of the biggest nights of the year. Over the past ten years, Tokyo has seen a dramatic growth in interest for Halloween. Halloween candy is now available at most grocery stores, department buildings decorate with jack-o-lanterns, and families celebrate from home (now commonly referred to now as HaroPa ハロパ). More famous are the wildly huge Halloween street parties that have been receiving international mass media attention year after year. 2018 is gearing up to be even bigger with more Halloween parties, costume contests, and outrageous Shibuya street parties. Nightclubs have ghoulishly long lines. To avoid this, we recommend arriving at the club no later than 11 pm. Buy your costume beforehand. You don’t want to be stuck wearing a Pikachu snuggie. The Mega Donkey Hotte in Shibuya and Roppongi have a wide selection of Halloween costumes. Also, Amazon.jp has dozens of options with next day shipping. Be warned though, Halloween costumes in Japan are typically overpriced. Pre-funk. Lines at the bar on Halloween can be hellish. Get the party started with some conbini 9% chu his or a canned hi-ball. Avoid the Roppongi dumps. 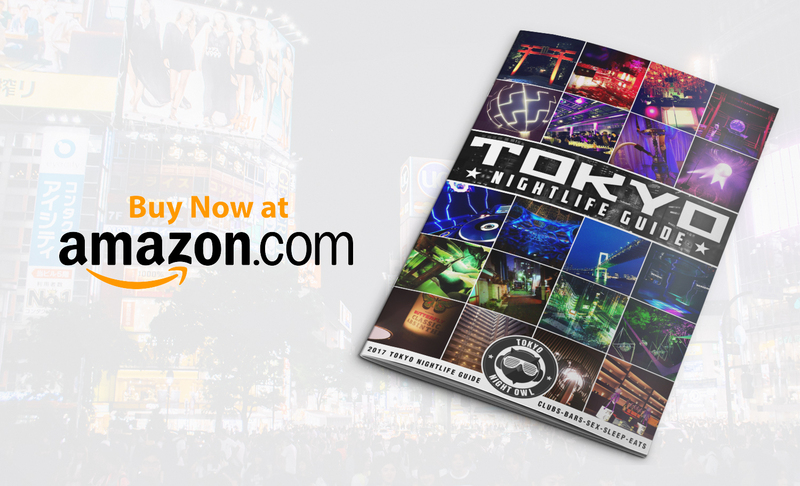 There are loads of small bars masquerading as nightclubs in Roppongi. And during Halloween, with the long lines for the hot nightclubs, you may be inclined to hit these places up. Don’t! They will be packed, sleazy, and possibly dangerous. Arrived dressed up and ready to party. It may seem odd to wear a costume on a train, but in Tokyo, its commonplace during Halloween. Nothing worse than having to find a corner or bathroom in Shibuya where you can get into costume. Skip the scary or bloody makeup, and stick to cute costumes. Japanese girls will be more inclined to chat up a handsome Mario than a decomposing zombie. ageHa’s Halloween events are legendary! Because of the nightclub’s size, it is easy to enjoy several different dance floors, with plenty of space to move around. This year’s Halloween party will feature a fun OEDO theme (think Kyoto) with feudal Japan style decorations. It is the first time we’ve seen this concept, and it generally looks original! Wear a full costume for a 1,000 yen off the entrance price. Also, don’t forget your photo IDs! The security are notoriously strict, and it would be a nightmare being denied entry into ageHa and stuck in Shinkiba after the last trains finish. All of Tokyo’s disco clubs will hold Halloween parties, but only Camelot is stepping it up with a creepy Haunted Hospital theme! The nightclub will have Hospital-themed decorations, loads of guest DJs, and several photo booths. Guests can also use the hashtag # キャメハロ in their Instagram posts for a chance to win cash prizes! Book a VIP table, and avoid having to wait in line to order drinks. 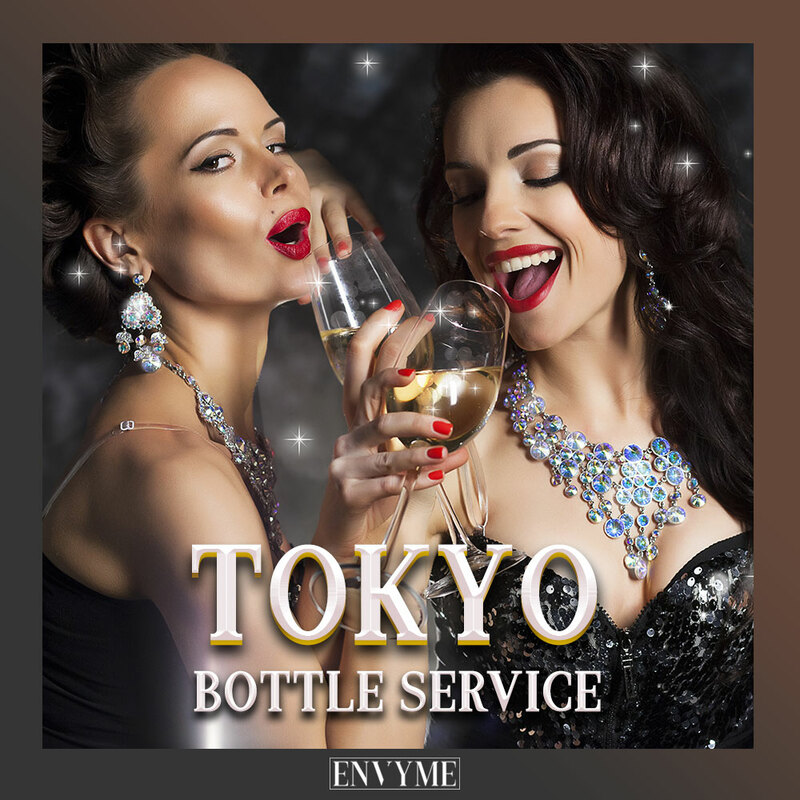 ENVYME.jp has several tables available for booking at Camelot starting at 60,000 Yen for four guests. 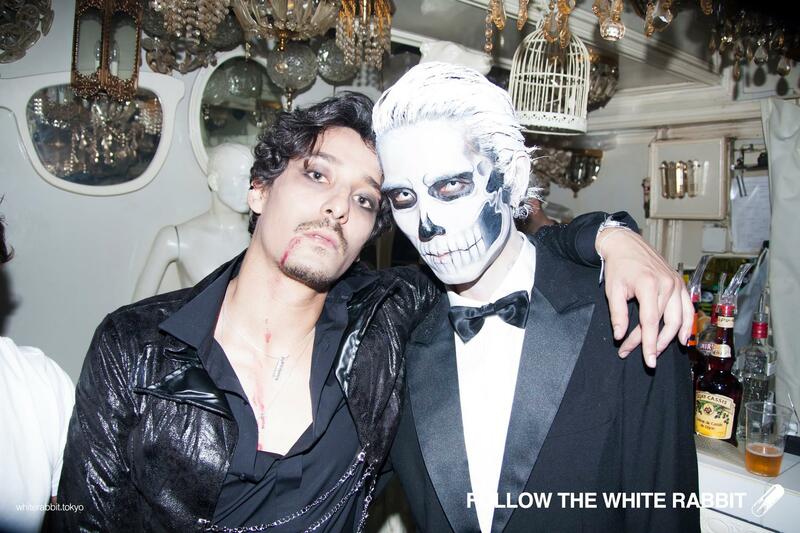 For the last six years, Legato has hosted one of the biggest Halloween parties in Tokyo. The venue is a large and elegant restaurant that transforms into a club on special occasions. With its recent renewal, the newly installed glass windows provide guests with a nearly 360° view of the city. Arrive Early! Access to Legato requires using an elevator which creates a massive queue. Every year the hipster promoters behind White Rabbit throw an underground Halloween party at the infamous Trump Room nightclub. 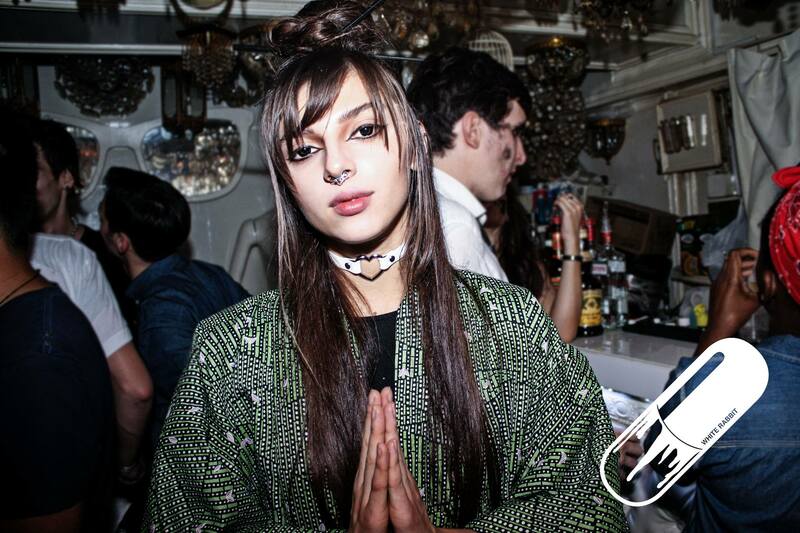 The theme is GRINDHOUSE, and the organizers pack the two floors with dozens of different DJs playing the filthiest techno, bass and trap beats this side of Japan. Also, there will be live performances and free shot giveaways during the night. The drinks and service at the bar leave much to be desired. We recommend picking up some chu-his before hitting this party! 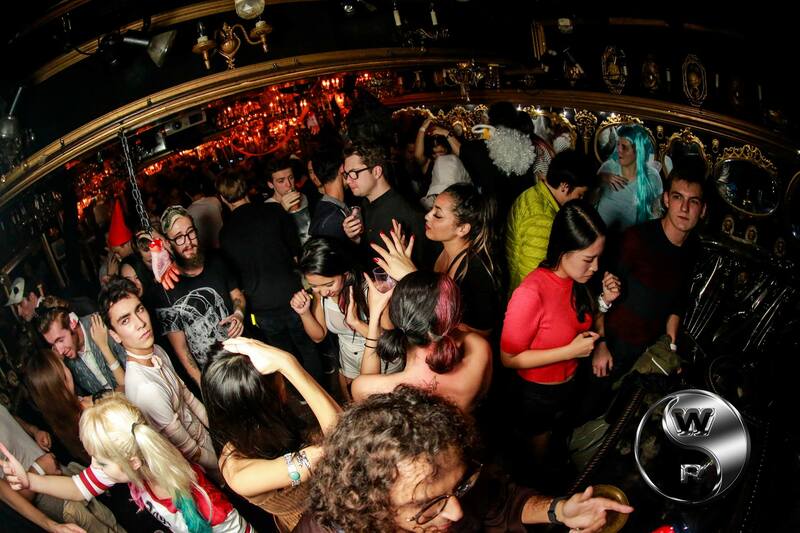 Roppongi’s most popular nightclub with the foreign crowd also has one of the most popular Halloween parties in town. With a unique storybook theme, ALIFE decorates all three of its dance floors and is promising a spooky party set to the Halloween soundtrack selected by their resident DJs. This party will be hype, but it’ll be crowded. Arrive early to avoid the HUGE lines. Wanna skip the line? ALIFE is offering fast past tickets, at nearly twice the price. For Men, 9,000 Yen with 2 Drinks and Women 6,000 Yen with 2 Drinks. 6. Party on the Shibuya Streets! Date: October 27th & 31st, typically starting at 10 pm till morning. 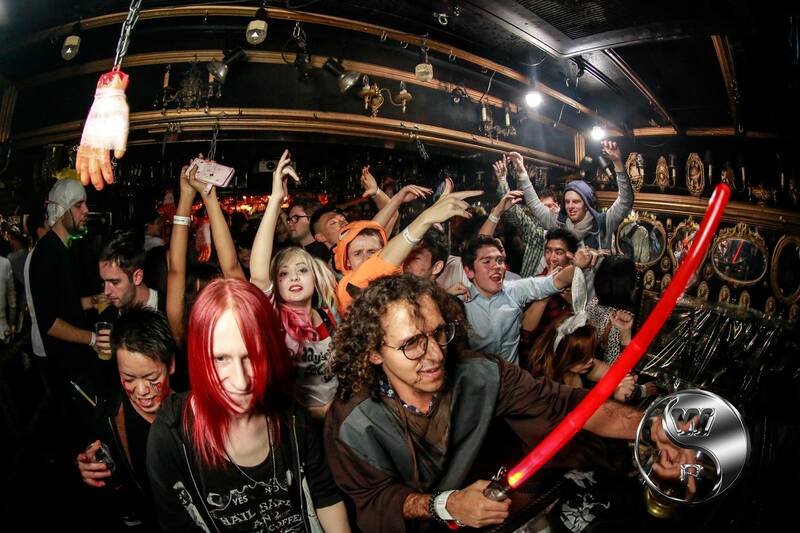 Let’s be honest… the best party on Halloween is located on the Shibuya streets! It starts early, its packed with cuties, and food is available on every corner. The street Halloween street parties have become internationally famous, and it’s worth partaking in. If crowded nightclubs are not your bag, stick to the streets! The booze in the convenient stores tends to sell out on the main Shibuya Center Road. So we recommend picking up your conbini drinks a few blocks away from the madness. Where are you celebrating Halloween in Tokyo? Let us know in the comments!